If your home has carpeted floors, you likely struggle to keep your floors clean. Floors will certainly become messy over time. With regular use, all types of floors will collect dirt, dust and more. 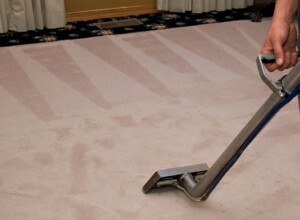 Of course, vacuuming will remove some of the dirt that collects on your carpeted floor. Your efforts with your vacuum cleaner, however, will not remove stains, odors and dirt that has become ground into the carpet. Carpet steam cleaning is the perfect way to more thoroughly clean your carpets, but it can be a hassle to clean your carpets on your own. We provide steam carpet cleaning services that give you a fast, easy way to see the deep cleaning results you want inside your home. Dirty, smelly carpeting can be a real drag inside your home. It can make your entire house seem dirty even after it has just been cleaned. By steam cleaning your carpeting, you can remove those stubborn stains, odors and more, and our steam cleaning service provides you with a convenient way to clean your carpeting. Call us to schedule the in-home cleaning service that your home requires, and soon, you can enjoy the improved level of cleanliness that you desire.